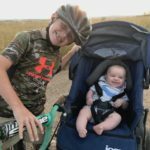 As winter rapidly approaches, and has already arrived in some areas, we wanted to provide you with a review of our favorite cold weather insulated jackets. 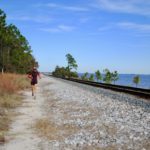 It can be tough to find motivation to go outside in burly conditions, but these 10 pieces help to eliminate any need to motivate, and instead get you psyched to conquer the cold. 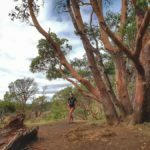 To properly review these jackets, we wanted to test all of them in the same elements, terrain and climate. This process allows us to gage the warmth, durability, and function of each on a comparable scale. 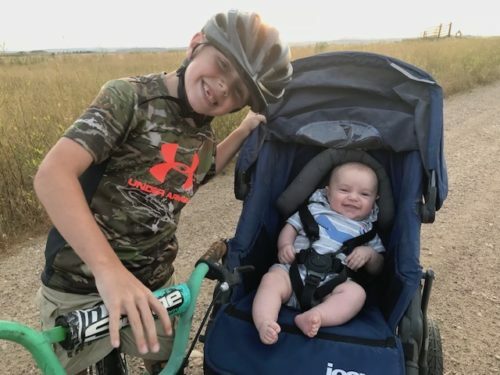 The test location was Ashcroft, Colorado, on the area’s backcountry trails, passes and ridge-lines. Temperatures ranged from mid 30’s at the trail head, to low teens and single digits at the highest elevation gained. Wind gusts on the passes and ridge-lines were mild to intense, providing us a great assessment on element and wind protection. 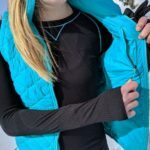 If each of these jackets could hold up in the Ashcroft backcountry, there will definitely be at least one that fits the needs for your local winter adventure. TNF does a great job keeping their materials lightweight and minimal, without sacrificing warmth and protection against the elements. 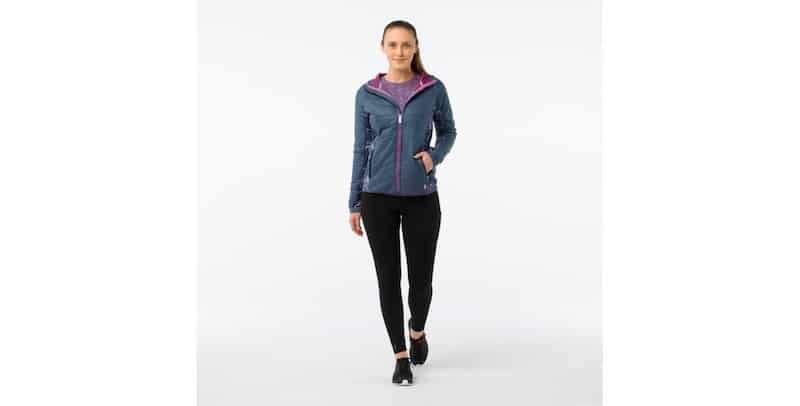 The Flight Ventrix holds enough heat to keep a person warm and comfortable, thanks to the 60 G Ventrix insulation, while its breathability helps to exhaust your hard earned sweat. 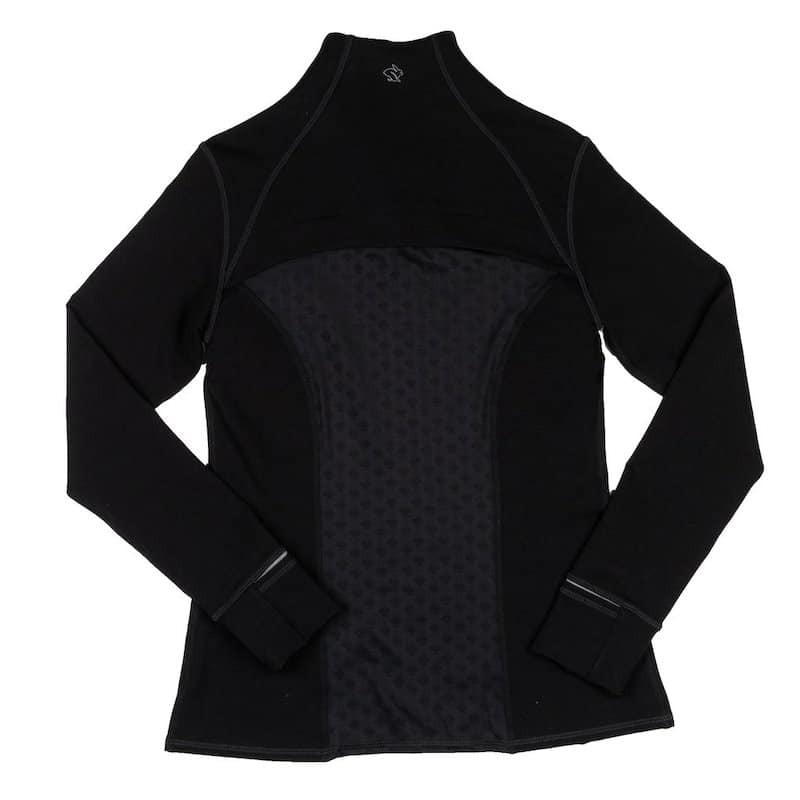 The Flight Ventrix has a relaxed fit, so it’s easy to add a baselayer (and or midlayer) for additional warmth. Sleeve length is generous, so those that have long arms will be especially pleased. Additionally, the cuff is cut on a diagonal providing a little extra coverage over your wrist and hand. The breathability panels are mainly located down the sides and underneath the sleeves, where most heat is released. The 60 G Ventrix insulation is sandwiched between a water resistant outer material and a smooth and almost slick internal material. It has a great next to skin feel, in case you are daring and go without any layers! There are two traditionally located zip pockets, one including a stitched hole for a headphone cord, and the other turning into the jacket’s personal stuff sack. It’s a tight squeeze, but it can be done! 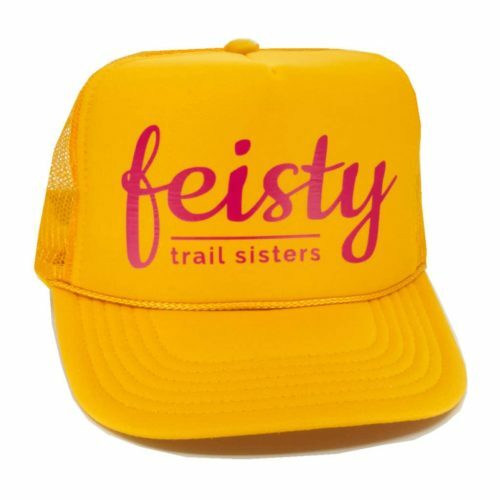 This is a piece any trail runner would hold near and dear for burly temps, but not for super gusty days. It’s breathability is absolutely amazing, so if you run hot or exert lots of heat (sweat), the Flight Ventrix is the jacket for you. The Alpha Shield Hoodie is what we’d consider an ultralight minimal insulation piece for cold conditions. Adidas Outdoor uses Polartec Alpha insulation for its breathability and warmth, mixed with Pertex Quantum for wind resistance. The hoodie has a relaxed fit, allowing enough space for an additional layer. 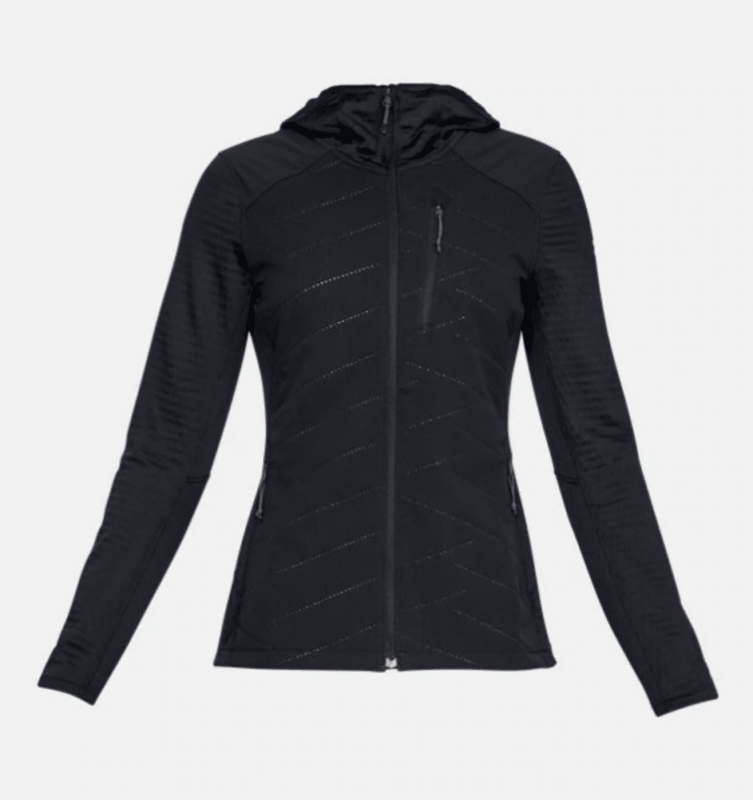 The Polartec Alpha insulation is located on the front panel and around the shoulders of the hoodie, only. It is protected by an external wind resistant layer of Pertex material. This breaks the wind without allowing heat to escape. 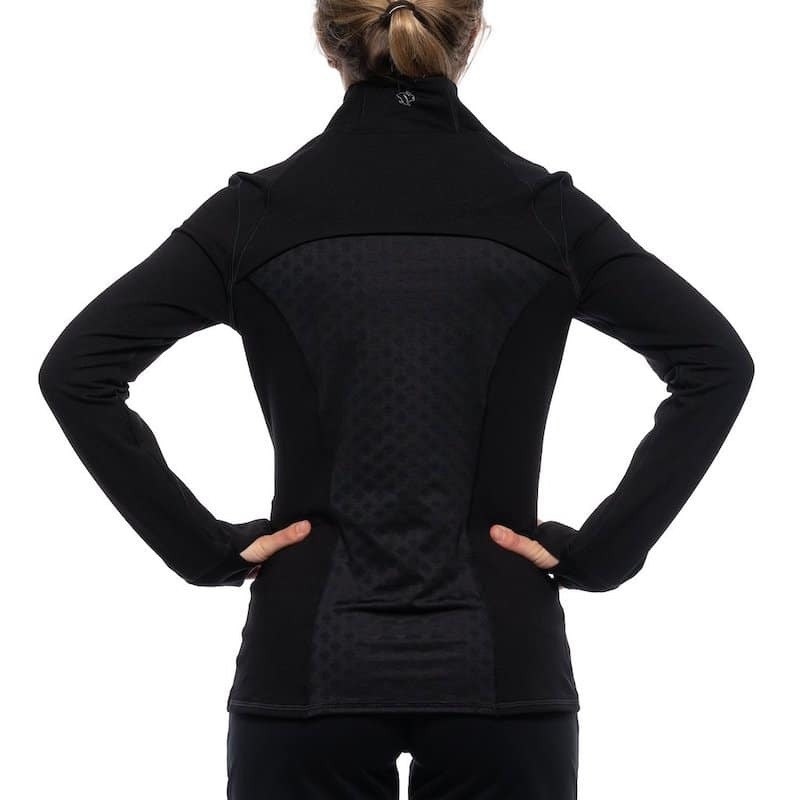 The back panel along with under the arms is highly breathable, helping you to stay dry from your own perspiration. 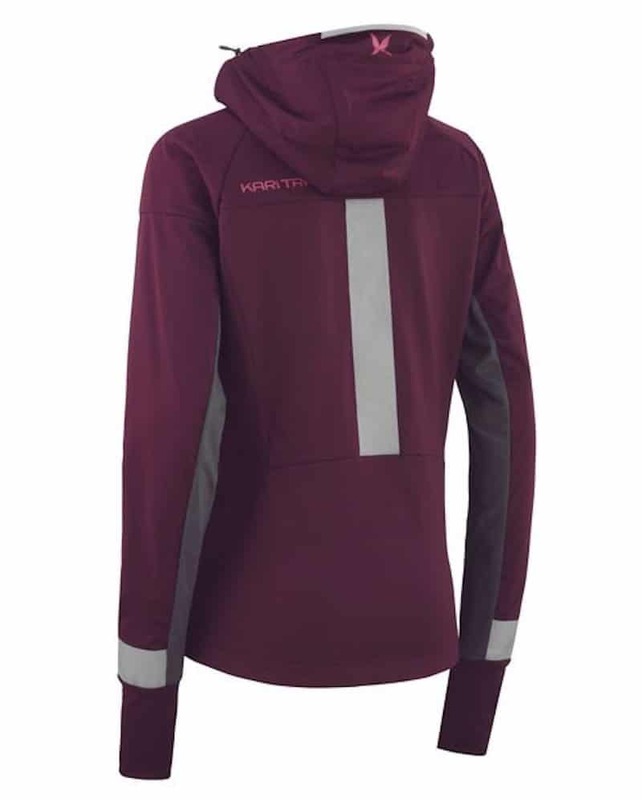 The hoodie shell is constructed from the Pertex material and includes a synch on the backside so that you can tighten the hood. This is especially nice for the really windy days when your hood is battling to stay over your head! 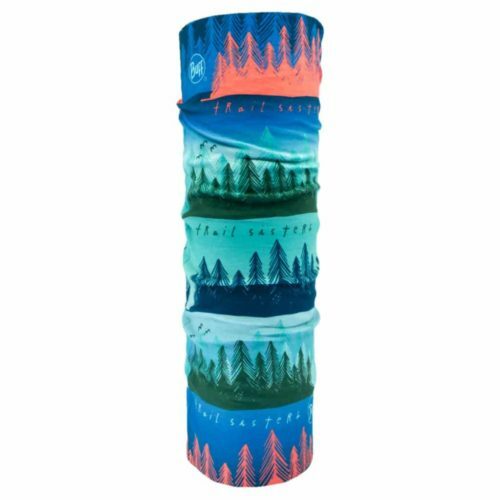 The cuffs have an elastic finish, as to prevent unwanted weather or wind from sneaking into your sleeves. The Alpha Shield comes complete with two zip pockets, the right being the hoodie’s own stuff sack (easy fit). 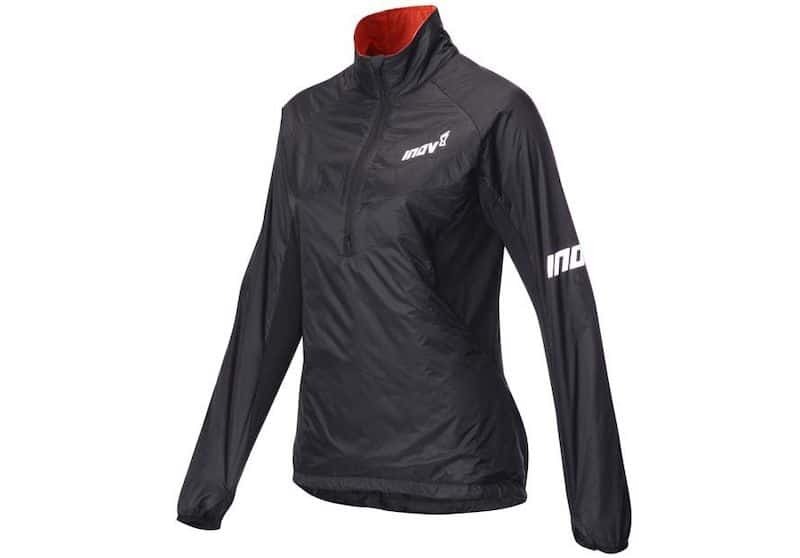 This piece is great for runners looking to feel comfortable on dry, brisk windy days. When temps really dip, you’re going to want an extra layer to help hold the heat. 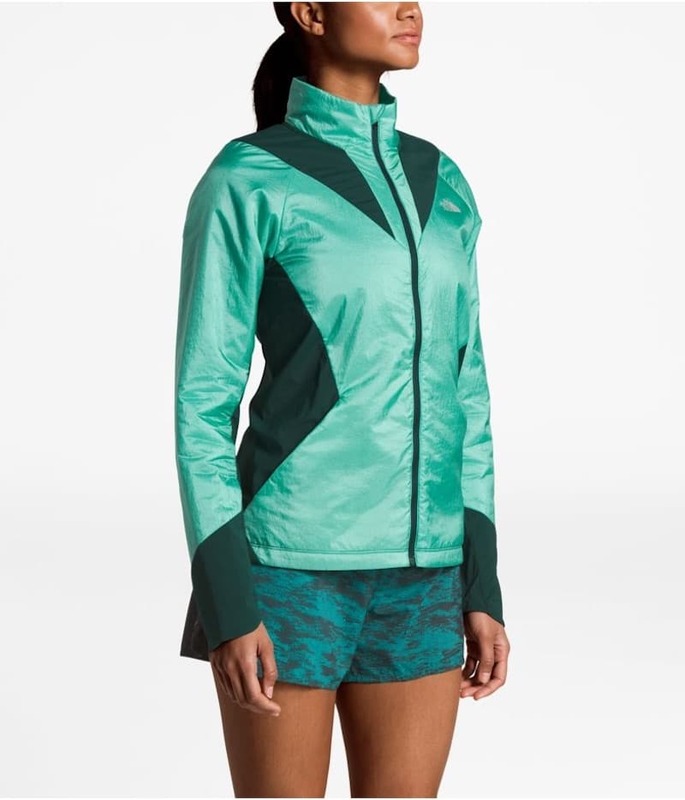 For runners living in a mild winter climate, or run really hot, this is the ideal jacket for you. Wool is the name of the game for this Steamboat Springs, Colorado based company. Besides holding warmth whether dry or wet, wool is also great for odor management. 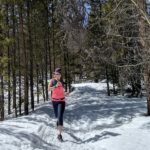 Smartwool utilizes their 50% recycled wool insulation along with a Merino wool liner to make the SmartLoft 60 one of their best winter aerobic pieces. 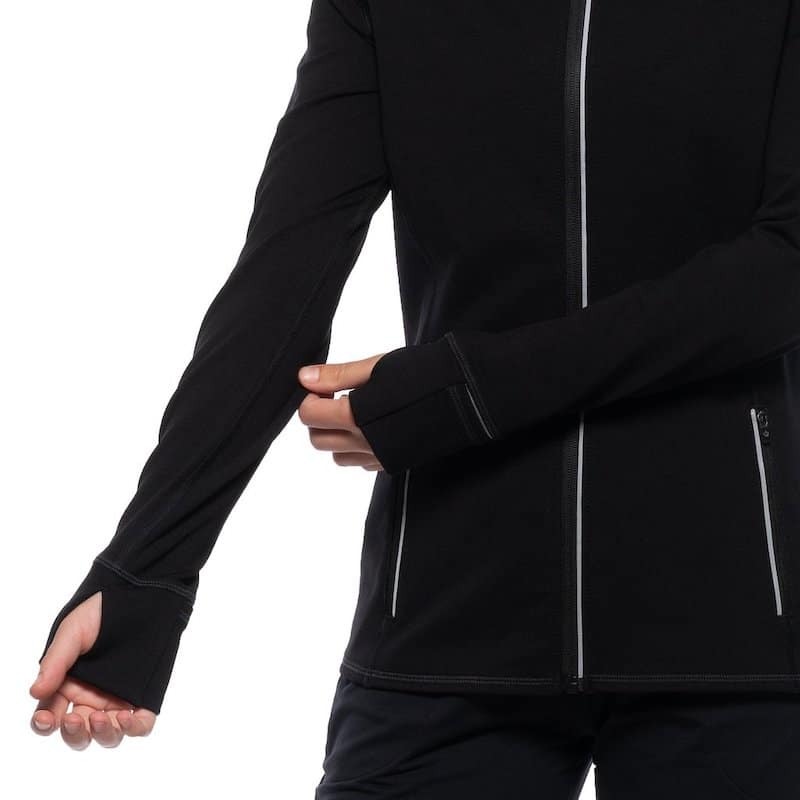 Though the SmartLoft 60 can be worn next to skin, the relaxed fit allows you to add a baselayer for extra warmth. The front, back and the top side of the sleeves are filled with Smartwool’s 50% recycled wool insulation. The insulation is backed with an internal layer of super soft Merino wool, and externally protected by a wind resistant nylon shell, complete with a DWR (durable water repellent) finish. Panels under the arms and along the sides are full of stretch and provide great breathability. The hood is comprised of the nylon DWR shell, 50% recycled wool insulation, with a next to skin layer of Merino wool. Smartwool provides two synch cords (minimal hardware), one on each side of the hood, so that you can adjust for a tighter fit. 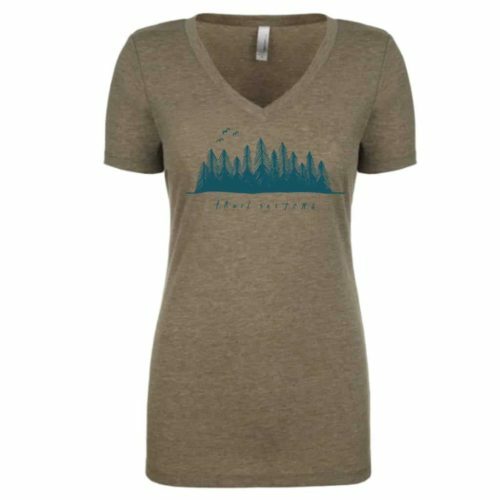 The sleeve length is on point, and the cuffs include a thumb hole so that you can pull the sleeve over your wrist. 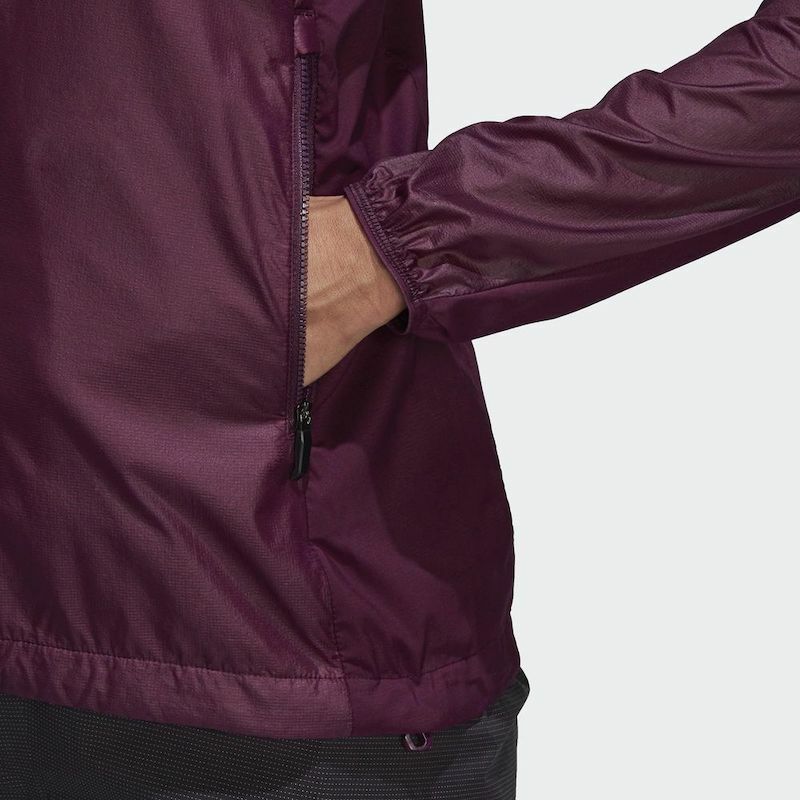 The SmartLoft 60 includes traditional zipper pockets on the left and right sides of the jacket, along with an internal media zip pocket located on the left chest. 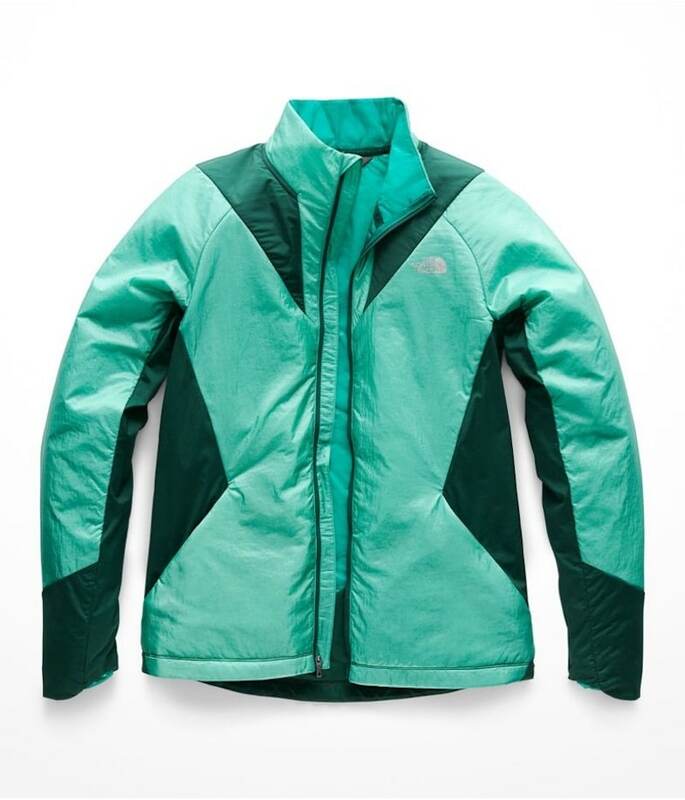 This jacket is perfect for logging miles in the coldest temps while dodging the snowflakes. You can also get away with repeat wears before having to wash it for any odor. The SmartLoft 60 will be your best friend for any and all winter adventures. A brand inspired from fell running in the UK, Inov-8 brings you their lightweight, insulated, windproof shell ready to tackle winter’s blustery conditions. 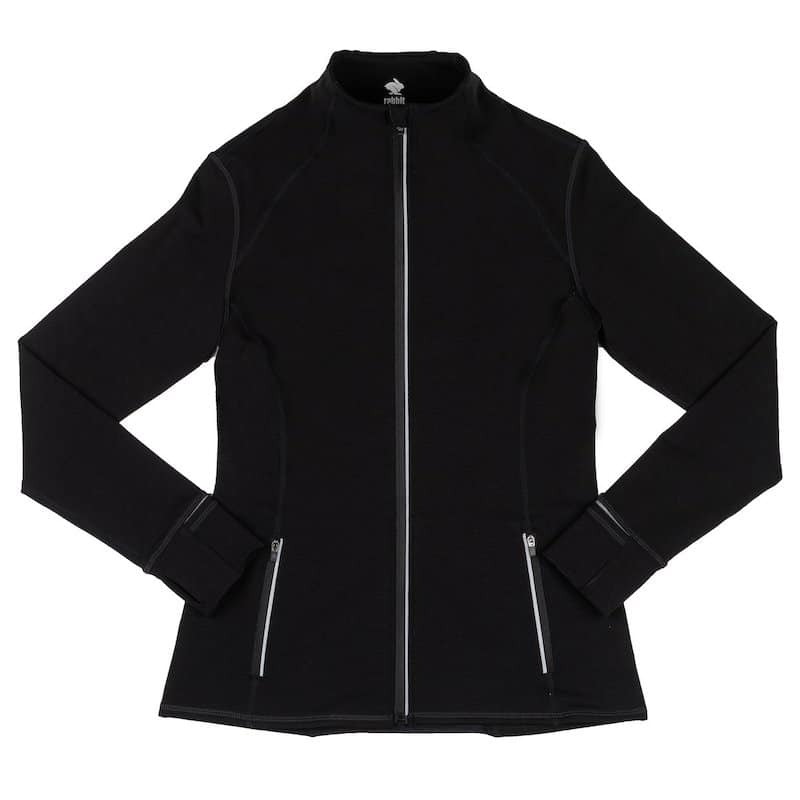 This half zip jacket utilizes Polatec’s Alpha insulation and also Pertex Quantum for windproof protection. The AT/C Thermoshell has more of a next to skin fit verses relaxed, but still enough room to add a layer of insulation. 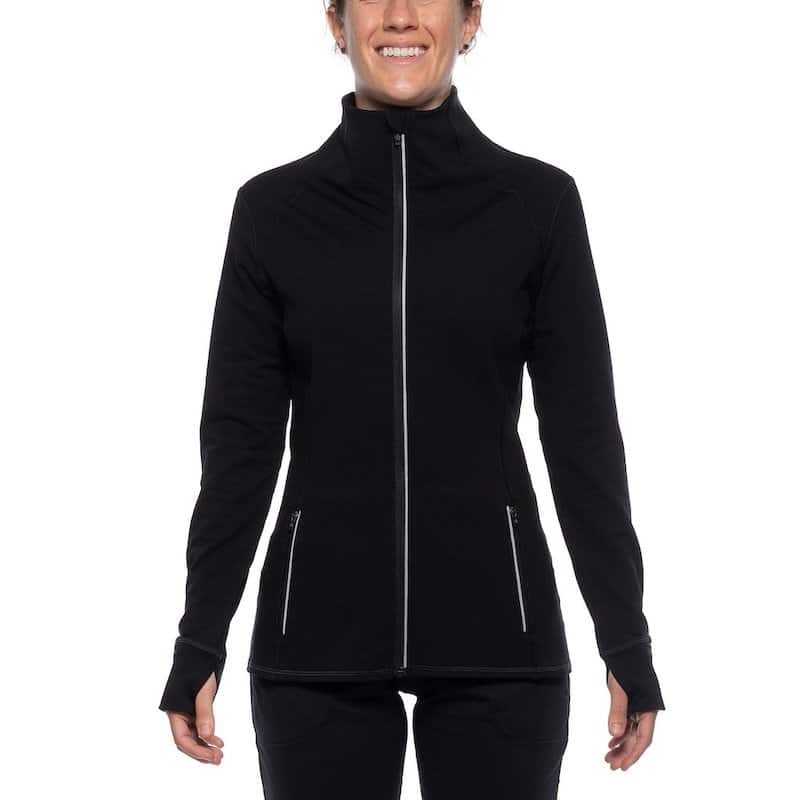 This is a half zip jacket, which means there’s less access for wind to sneak through the zipper area. 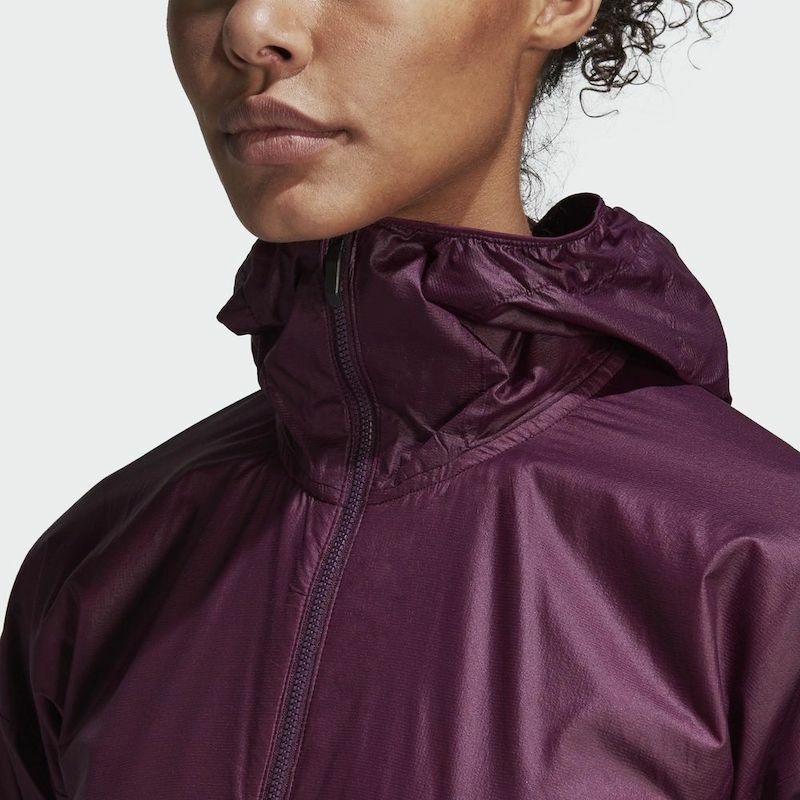 Believe it or not, much of your heat can creep out through zipper closures, as well as wind and water sneaking in (unless is seam sealed waterproof). Additionally, there are two zipper pulls providing the ability to vent in sections, or to fully unzip for max breathability without having a gapping open space over the chest area. 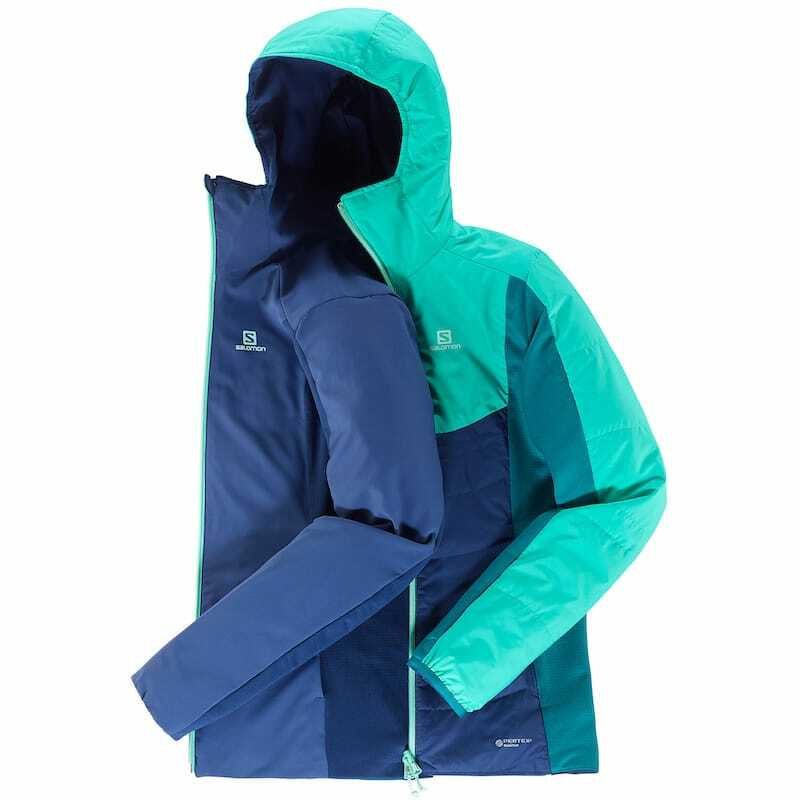 The front, back and top of sleeves are composed of the Polartec Alpha insulation and Pertex Ouantum windproof shield. Highly breathable stretch panels are located down the sides and under the arms. 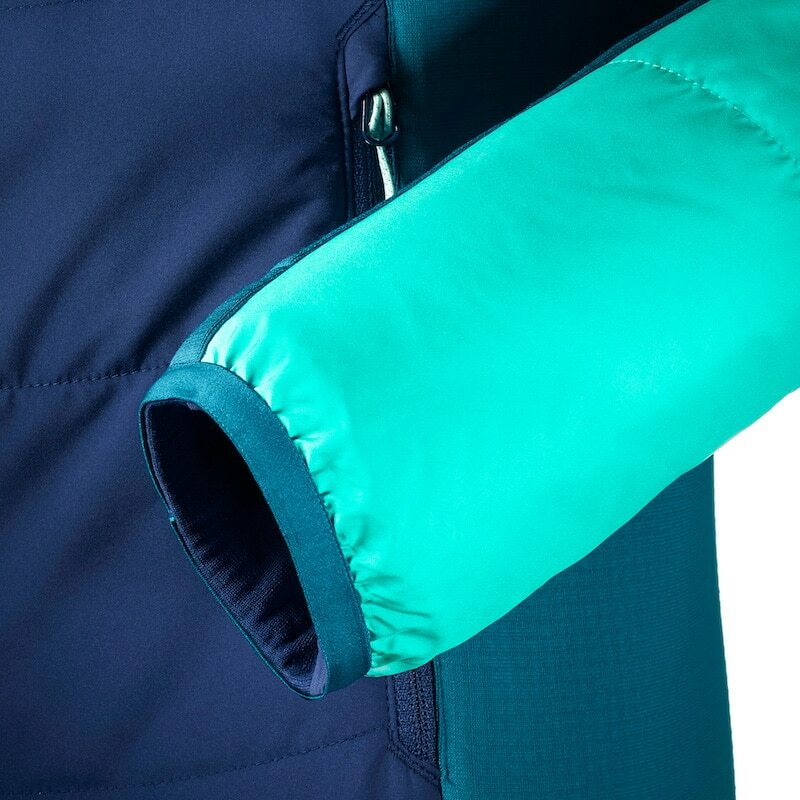 The sleeves finish with an elastic cuff to keep heat in and elements out, along with a thumb hole for those wanting to make sure the sleeves stay over their wrists. There is a synch cord with mini toggle located on the bottom seam on the right side. This feature is super handy for the days when wind is blowing in all directions, or if you just want to eliminate heat from escaping. There is only one zip pocket and it’s located on the outer left chest. It includes a stitched hole for a headphone cord, and speaking of headphones, on the inside of the collar there are little bungee loops to thread your headphone cord through…no more wandering cords or lost earbuds when they pop out. The AT/C Thermoshell is definitely unique with its smart design, and well equipped with a minimal amount of material to get you through any gusty cold days. Hailing from the French Alps, Salomon continues to turn heads in the trail and mountain running industry, and their Drifter Mid Hoodie is a great example of why. This hoodie can actually be used as two different jackets, thanks to its reversible functionality. PrimaLoft 60g is the insulation of choice, coupled with Pertex Quantum for wind protection and a soft feel. Since this is a two for one, both versions will be reviewed. 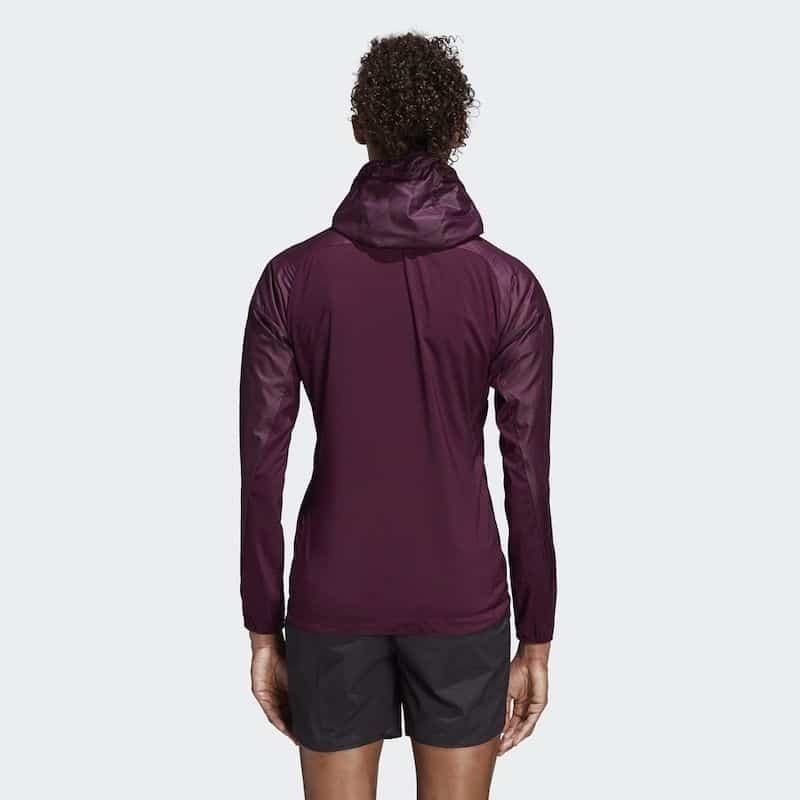 As for fit, the hoodie would be considered relaxed or even a little roomy, with enough space for a base layer or two. Starting with the shiny side out, this is how one would want to wear the hoodie if warmth is your primary goal. 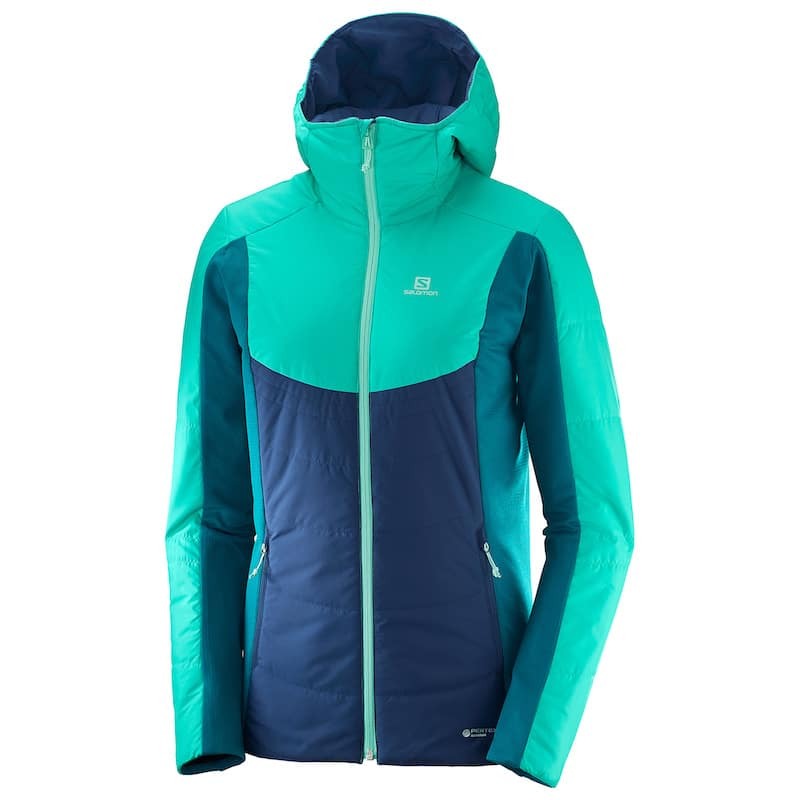 The front, back, top of sleeves and hood all contain the PrimaLoft 60g, topped with the windproof Pertex Quantum shell. Under the arms and down the sides are thick panels of a more breathable material. The sleeve length could be a smidge longer to prevent any long limbed individuals with cold wrists. The Drifter Mid Hoodie has a high collar that can be pulled up and over your chin and mouth when zipped. This is a great feature for those heinous days when your face feels frozen and you’ve forgot a neck/face gaiter. There are two zippered pockets, one on each side of the jacket in traditional locations. The reversed side (non-shiny or matte), is utilized as a causal jacket or if you want to expel heat. There is no Pertex on the exterior, thus warmth is released more rapidly. There are two pockets located in the traditional spots and neither have zipper or “closing” feature, so be careful with keys or valuables. 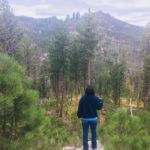 This jacket isn’t as lightweight as others on the market (still packable though), but it may be the warmest and most ideal for the coldest days. Though it’s great for high performance activity, it also does the trick for any long slogs exploring in mountains. Additionally, its reversible side provides you with a stylish look for apres beers or grub. Born in sunny and sandy Santa Barbara, California, rabbit ranks with the best of the best apparel brands. New for this winter is their Leading Lady. 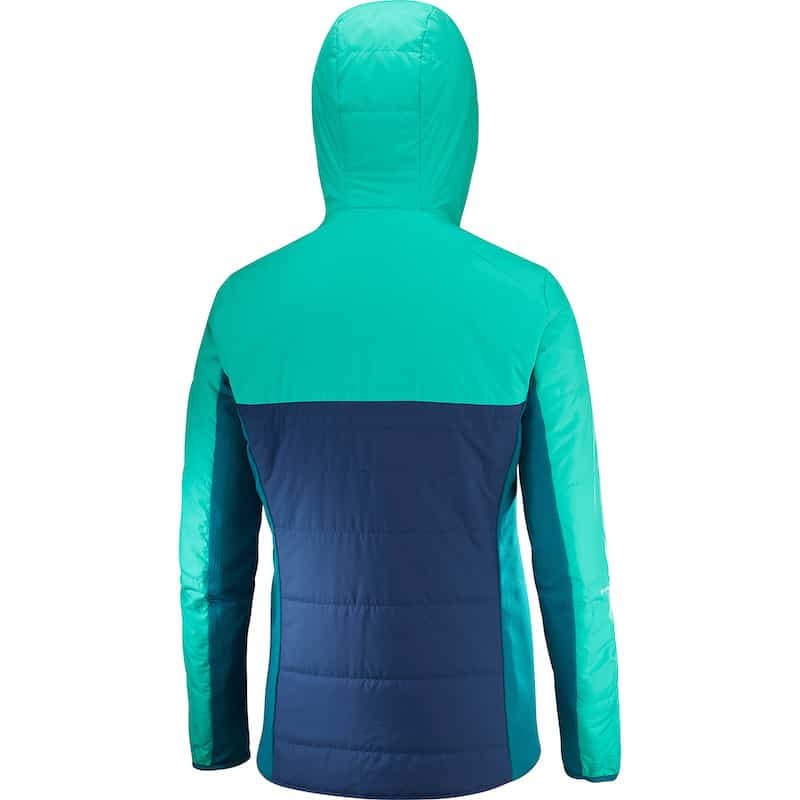 This piece does not come with an insulation filled component, but instead uses Polartec Power Stretch fabric. 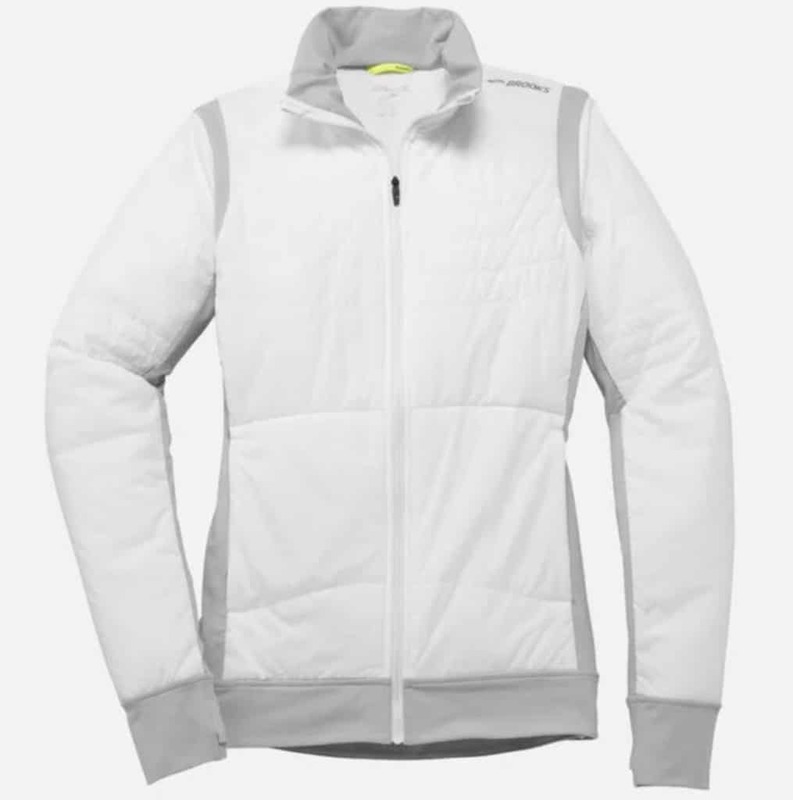 The insulation is woven throughout the actual jacket material, eliminating the need for any baffles or insulating pockets. The Leading Lady is constructed for a close to body fit. 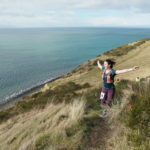 A light, non-baggy base layer would be most recommend to wear underneath the jacket. The Polartec Power Stretch fabric allows you to twist and turn in any direction without having the entire jacket shift on your body. The back panel provides proper venting thanks to rabbitMESH. The brand does a great job mixing style with function, and the rabbit logo within their rabbitMESH is a great example. The collar is higher than most, fully protecting your neck from the elements with a double layer of material. To keep your shoulders and upper back warm, the Leading Lady includes an envelope flap of Polartec Power Stretch material over top of the rabbitMESH. This allows for breathability, but blocks the wind and elements. The sleeves could stand to be a smidge longer, but with the stretch material and some handy thumb holes, it’s easy to have them pulled over wrist area. Another important feature is the built in hand mitts! If you forget your gloves, pull the extra material from the sleeve cuff up and over your hand and voila, instant mitts! 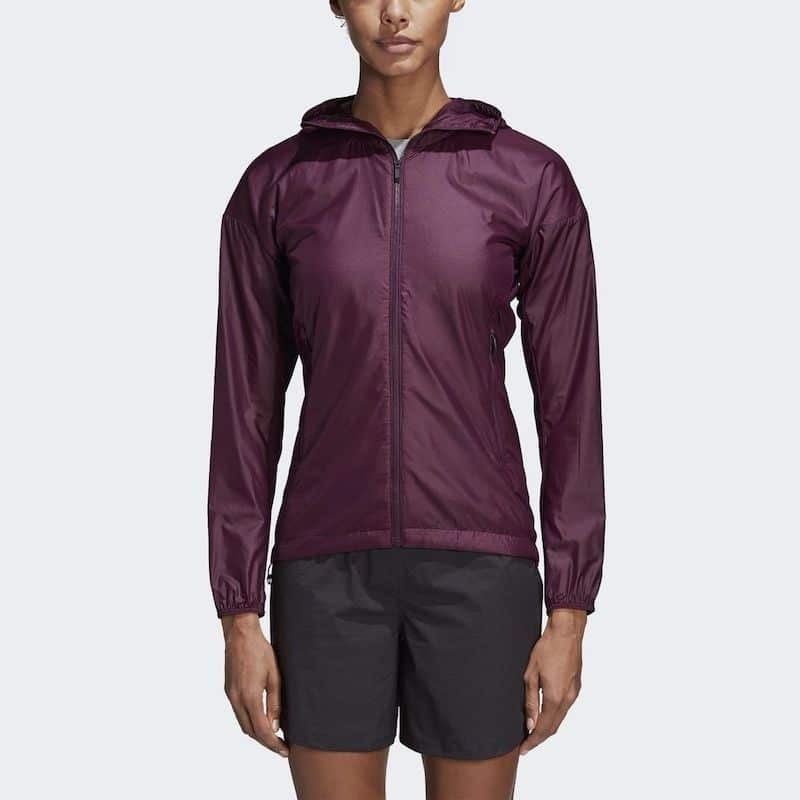 There are two zippered pockets (one on each side) with reflective piping for running in the dark. The full length zipper has reflective piping as well. Complimenting the female figure, the Leading Lady has a hearty feel so you’re reassured of its warmth and ability to take away winter’s bite. Perfect for burly temps, but not for the coldest of coldest days. 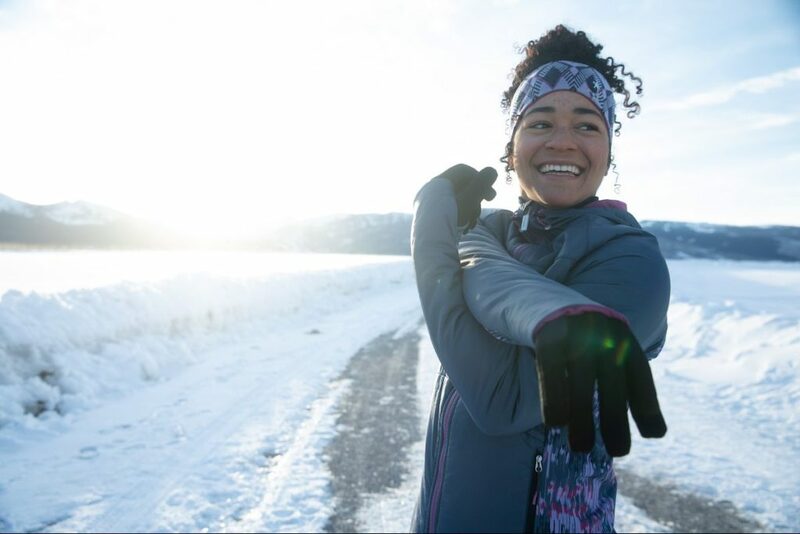 Comfortable with uncomfortable conditions, Brooks Sports has created the Cascadia Thermal Jacket to keep you running happy no matter what’s thrown at you. Their 80 gm polyfill is key to lightweight insulation, along with an external wind and water resistant fabric to protect you from the elements. 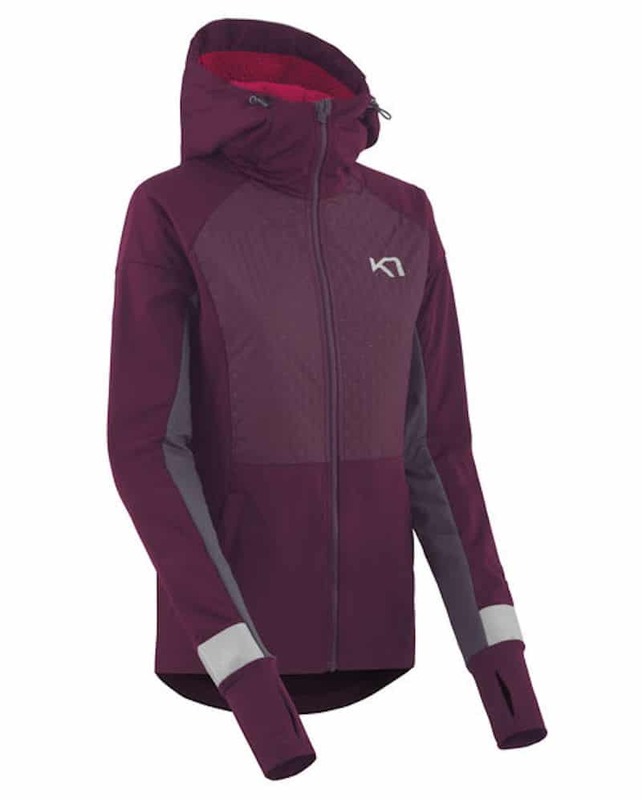 Starting with fit, the Cascadia Thermal Jacket lays relaxed on the body. There is enough room for and extra layer or two. 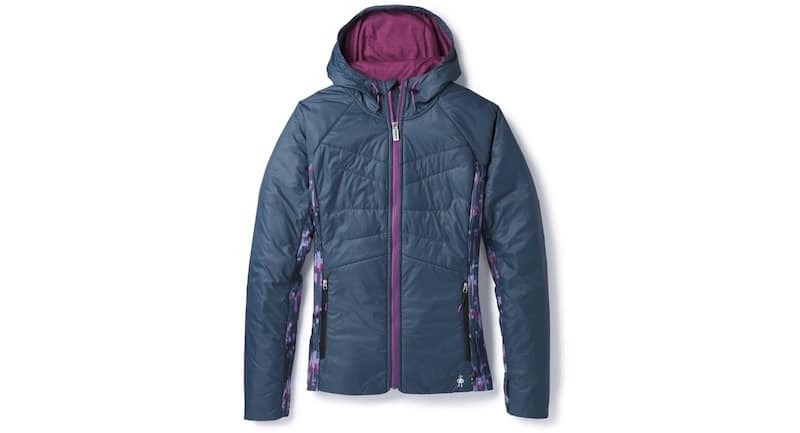 The front, back and top of sleeves are all insulated with the 80 gm polyfill, topped with a weather fighting exterior. Not only does this external fabric break the wind, it also repels light rain and snow. A thin strip of breathable stretch material runs 360 degrees around the shoulders, down the sides, and under the sleeves. Having the stretch material between the body and sleeves allows for separate movement. This is great when you don’t want your whole jacket to sway when swinging your arms. 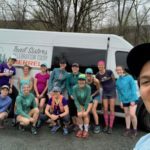 As for sleeve length, Brooks is quite generous, so lengthy people rejoice! The cuffs include a thumb hole providing the option of pulling the sleeves over your wrists. The collar, sleeve and bottom cuff all have a very soft feel, great to dry your runny nose with. 🙂 There are two zipper pockets, one on each side of the jacket. The right pocket is unique as it has an additional media pocket to hold your phone. The Cascadia Thermal is your best bet for a well-rounded insulated winter jacket. It keeps you warm while blocking the wind, and also while shielding you from light rain or snow. Perfect of runners looking of a bit more insulation, or who run cold. New England is no joke when it comes to winter conditions, so Massachusetts based New Balance has a proven formula for cold weather apparel. The Winterwatch Jacket uses NB Heat cold weather fabric which captures warmth, wicks dry, all while staying lightweight. This piece is wind and water resistant, which makes all the difference when adverse conditions pop up. Starting with fit, we are sticking to the theme of “relaxed.” You should have no problem layering one or two pieces for the extra blustery days. 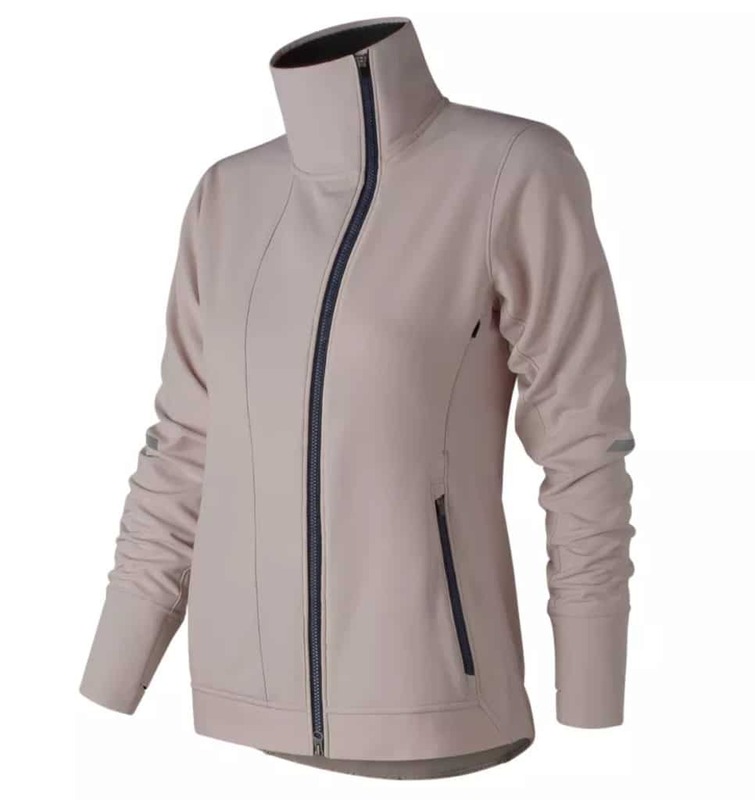 The jacket is composed of all the same material (no differentiating panels) and has great stretch providing excellent movement. The NB Heat fabric has a great fleece like feel on the interior, making it extra comfy when next to skin. The exterior has a smooth feel, and is reinforced to protect you from wind and water. Though the NB Heat material is breathable, there are zipper vents located under each arm for absolute heat release. This jacket also comes with the standard zip pockets, one on each side. The Winterwatch has an extra high collar, preventing unwanted gusts from chilling your neck. Another neat feature to call out is the asymmetrical full length zipper. The wide fabric backing from the zipper protects against wind sneaking through to your chest, keeps the zipper away from your face, and is just stylistically appealing. Lastly, NB adds a few reflective stripes to the Winterwatch sleeves, helping to keep you visible at night. 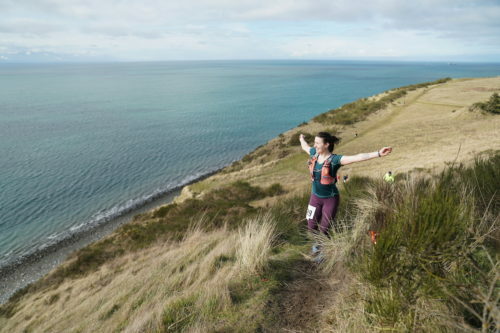 This is your go-to for the windy days that make you think twice about running outside. 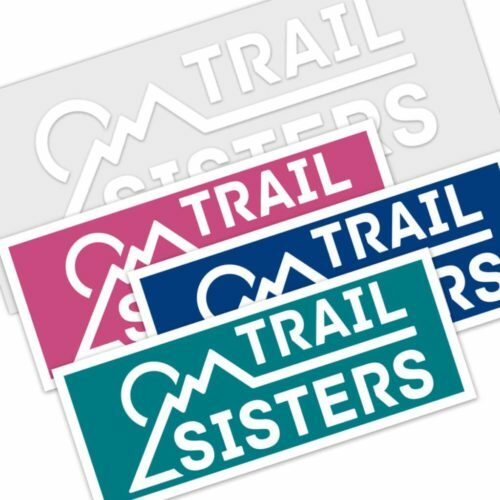 Kari Traa is a “for girls, by girls” brand based in Norway and created by Norwegian Olympic skier, Kari Traa. Kari wanted to combine female specific fit with function and fashion. The Tove Jacket was created for runners to tackle the harsh cold environment, while still performing at the highest levels. Starting with fit, the Tove has a bit more of a slimming cut. It flatters the female figure and curves in all the appropriate places. The chest section of the jacket has a high loft insulation panel, constructed with a stitch-less quilt technique. The hood, shoulders, and upper back have an additional layer of insulation to hold warmth. 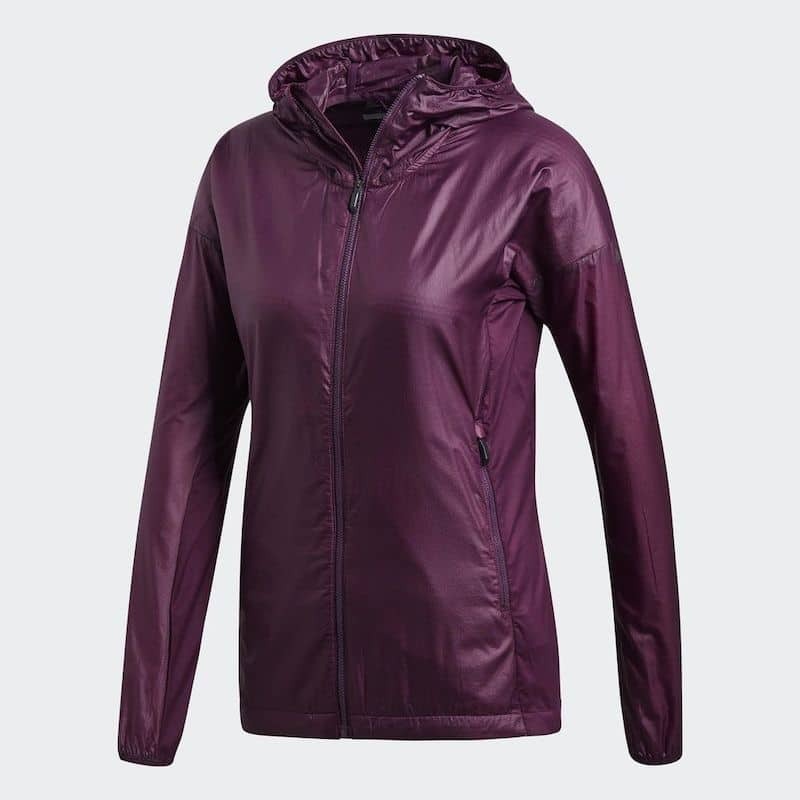 The Tove features a Bionic Finish ECO on the hood, shoulders and upper sleeve panels to protect you from wind and water. The remainder of the material is quite stretchy, allowing you to twist and turn any which way without restrictive movement. The sleeve length is deliberately long, giving you the ability to have extra coverage over your wrists and hands. 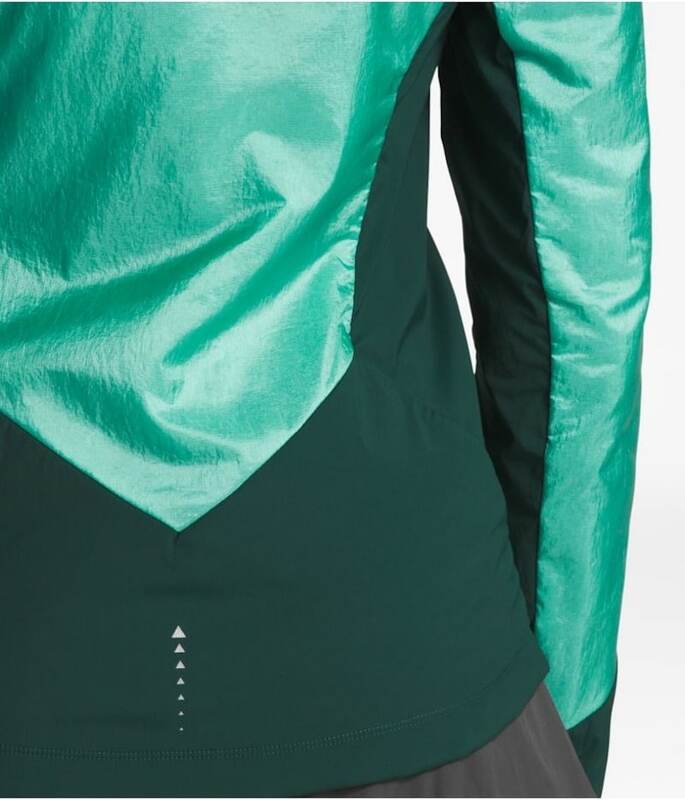 There is also a thumb hole in the cuff! When fully zipped the collar comes up quite high, covering your neck and chin. The hood has adjustment pulls on both left and right sides so you can synch it to your preferred tightness. The Tove comes with two standard zip pockets, located on the right and left sides. Lastly, Kari Traa does an excellent job with its reflect accents, placing strips on the wrists, hood, back and chest. This jacket will have you looking forward to battling the winter elements, all while feeling good about the way you look in it. Perfect for all old man winter’s temps and conditions. Known for their heat and cold weather gear, Under Armour was bound to make a premium piece for winter runs. 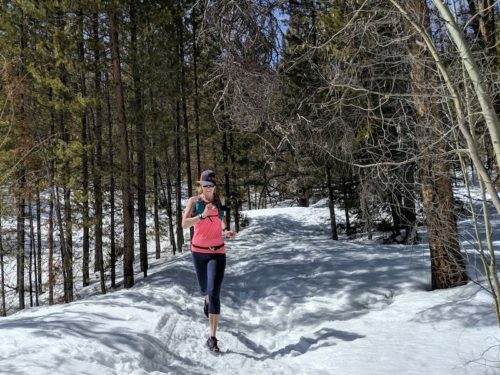 The ColdGear Reactor Exert is the most breathable piece within this review line up, but yet keeps you warm with UA’s adaptive smart insulation. When it comes to fit, you can expect this piece to hug a little closer. UA labels it as fitted, which we would agree with. The front and shoulder panels sandwich light weight layers of insulation to provide a bit more warmth and protection against the wind. 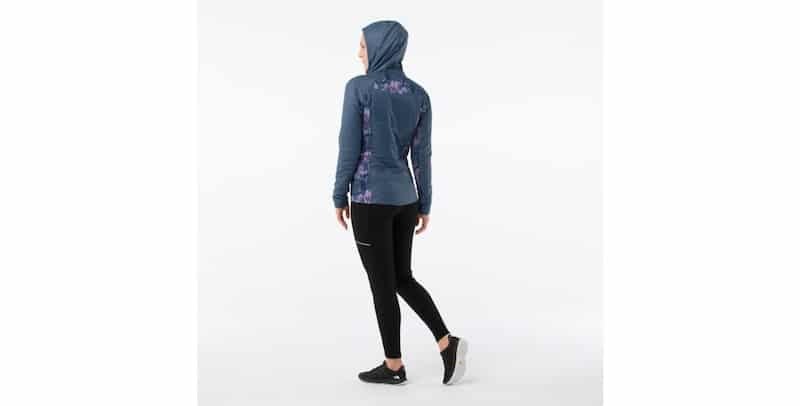 The hood, sleeves and back panel are made of UA Base 2.0 which is a mid-weight protection layer allowing lots of breathability during intense activity. This material is also super stretchy, allowing you lots of mobility. When pulled taunt, you can see the unique adaptive warm stitch pattern, along with the areas of breathability. The sleeve length fits well and the cuffs come equipped with an elastic band to poke your thumb through for extra sleeve coverage over the wrist. There are two standard zip pockets located on the left and right sides, and one additional zip pocket on the left chest with an elastic band to secure items. The edging on the hood contains an elastic band, thus providing a gentle stretch and secure fit for windy days. The last little callout we want to share is a tiny hook and loop located ¾ from the top of the jacket. 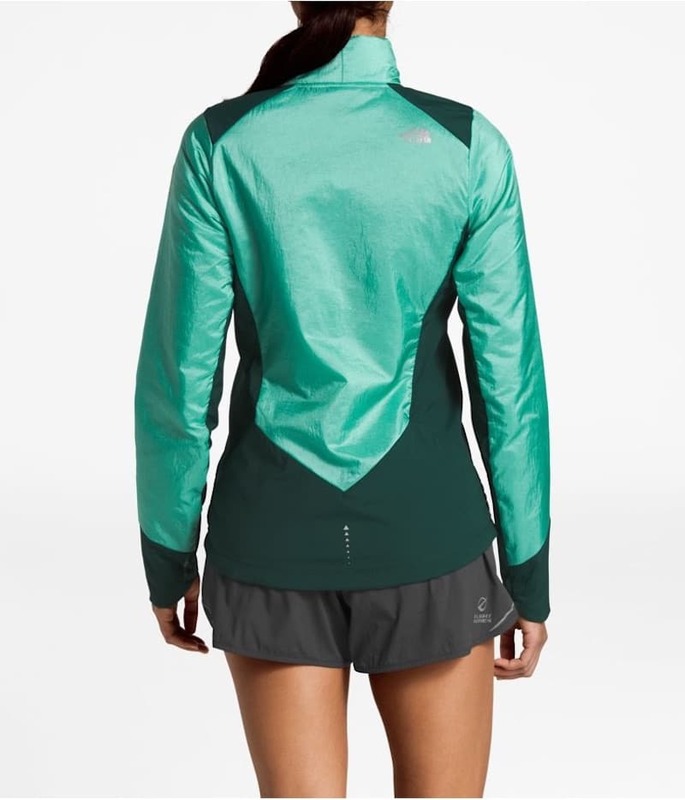 This is a great feature for when you want to unzip your jacket for maximum breathability, but yet keeping it closed enough so that your chest isn’t exposed directly to the elements. 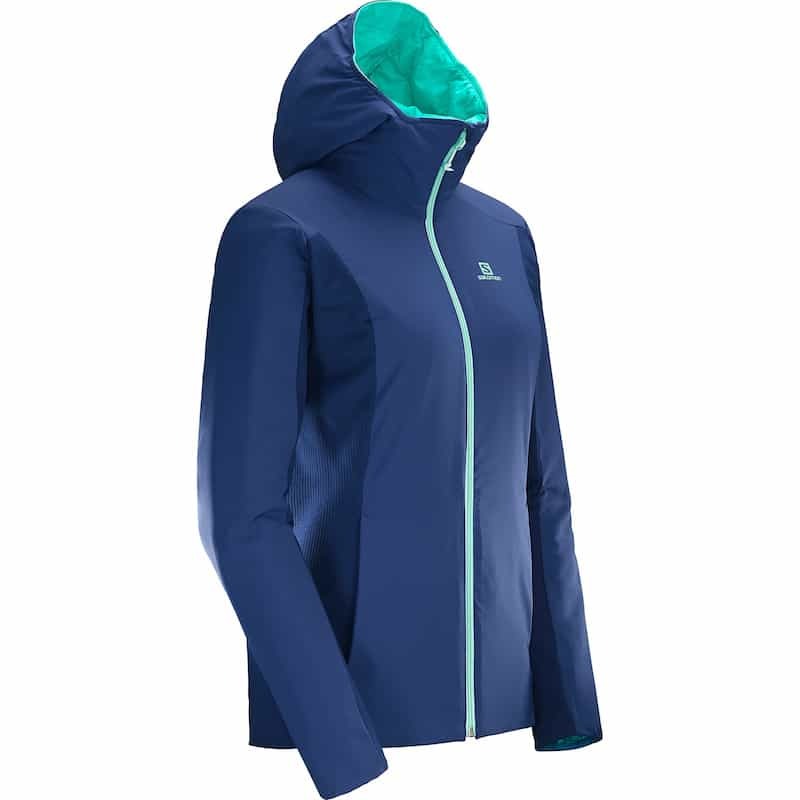 The ColdGear Reactor Exert is a great lightweight breathable piece for chilly non-rainy days. Perfect for those who run hot, or live in a more mild cold weather climate.